The department stores of Bordeaux are your answer to one-stop shopping. A great alternative if you’re bustling a family around on a holiday, you’ll find a variety of restaurants, fresh food and a myriad of shopping choices all in one location. 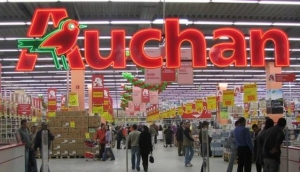 Sail the vast aisles of Auchan at the Bordeaux Lac Centre. Marvel at their huge fresh fish department tended by friendly folk in rubber boots. Find as many varieties and selection of cheese needed to match the long shelves of wine. Carrefour and InterMarché have a good choice of fresh fruit and veg and cover fashion and house wares too.